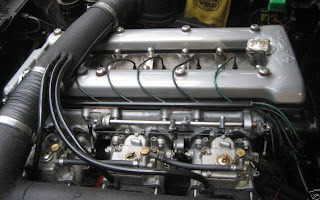 The Alfa Romeo 2600 range was the last Alfa to feature their DOHC inline 6. 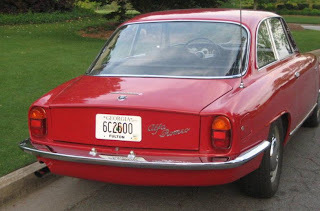 (Later Alfas used a V6). 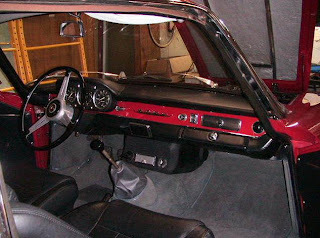 In typical Italian form, the 2600 sedan was built in house, the convertible was built by Carrozzeria Touring, and the coupe was built by Bertone. While they all shared the same platform and mechanicals, they each looked very different. Except for the very rare Zagato built 2600SZ, the Sprint coupe was, in my opinion, the best looking of the 2600 line. It was also the best selling model of the range with 6999 out of the 11,364 2600s built being coupes. The only real letdown in the styling of this car was the back end, which, to my eyes, just didn't seem as classy as the rest of the car. Still, it's not bad looking. The car being offered on eBay is a very interesting car. The owner took an honest look at the car and its inherent faults and then went about creating a very nice driver. He did it without changing the look or much of the spirit of the car. The suspension, brakes, fuel system and electrical system have all been upgraded, making this a 2600 you could drive everyday if you so desired. There aren't many 40+ year old Alfas you can say that about. The only upgrade I would do without is the Infinity Q45 seats. They look OK in the picture, but electric, Japanese seats in an old Alfa just makes me cringe for some reason. There are people out there, I'm sure, who are looking at this car as some sort of bastardization. They have a point. This would not be a car for them. But, if you're looking for a 2600 Coupe that can be driven more often than once a month to a car show, this would be a great choice. 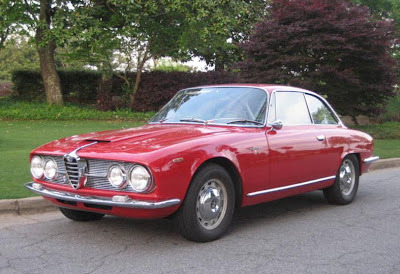 Click here to see the eBay listing for this Alfa Romeo 2600 Sprint Coupe.